Waterfall Info: This small waterfall on Sarahs Creek is generally unremarkable. 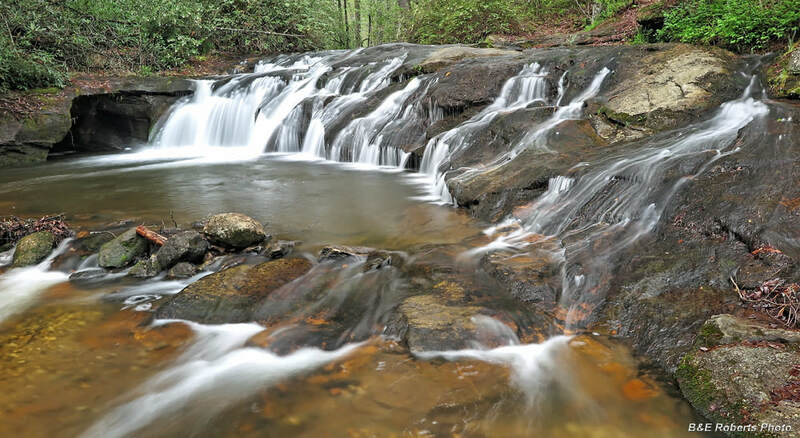 However, it's a scenic, popular cascade with a nice swimming hole located conveniently close to the Sarahs Creek Campground, so it's worth being included. Access Info: An easy walk from the Sarahs Creek Campground along Sarahs Creek Road (FS 156) brings you to this waterfall.